This farm to table experience brings the freshness of the fields directly to your plate. Join your guide on a drive to Campamento, a working Honduran farm, popular local resort and small slice of paradise. 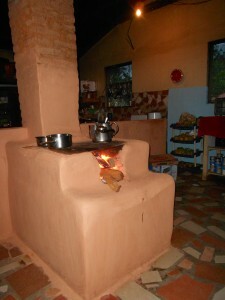 Here you will receive a guided tour by the owner and learn what typical life is like on this farm and resort. Enjoy an interactive experience with a local Honduran family and meet the residents of the farm. You may even have the opportunity to milk a cow! 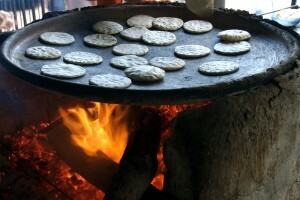 Tour a traditional Honduran kitchen with a wood burning stove, learning how to make traditional tortillas. As you await your meal, be entertained or relax on the beach or poolside. Your experience continues with a home-style meal. This experience not only delivers an amazing meal in an unforgettable setting, but also a chance to see and learn firsthand how Trujillo’s farmers make the most of this fertile land. It’s sustainable dining at its very best, using ethically produced organic produce and fresh ingredients from the farm. If guests wish to go swimming, they are advised to wear their swimsuit and bring a towel. There is a full bar at Campamento available for purchase. This is a relatively new tour for NCL in Trujillo, Honduras, operated by Banana Coast Tours. The bus ride to the “farm” took us over narrow roads with some sharp curves. But the bus driver did a great job. Our guide Oscar (a man who escaped from Cuba on a truck tire raft years ago) told us about the farm and what we would do when we arrived at Campamento (a family owned and run farm at a beach and resort). We were able to see and interact with the animals on the farm. “Mama,” the owner, made us feel right at home. She told us about all her livestock (pigs, horses…they offer horseback riding, weather permitting…bulls, cows, calves, chickens, and other animals. We were allowed to milk a cow and feed the baby calves. A new one had been born just that morning. We even got to pet the resident ocelot. We helped make our lunch (cheese empanadas cooked outdoors) served with beans. Then the farm hands (mostly her family) brought out additional plates with other traditional Honduran food (the beans and rice dish was delicious). We finished the meal with fresh coconut milk and banana bread! Most of what we ate was produced there on the farm. By the time we left, I felt I was part of a new family. The people were so friendly and courteous and helpful. I would do this tour again if I ever visit the Banana Coast.